강원도 고성군 죽왕면 문암진리 1번지에 위치한 고성 문암리 선사유적은 동해안에서 내륙 쪽으로 약 400m 떨어진 구릉지대의 남쪽사면 사구(沙丘)위에 형성되어 있는데, 인근에는 초기철기시대의 유적이 분포하고 있어 여러 시기에 걸쳐 형성된 유적이다. '98년 12월부터 '99년 3월까지 문화재청 국립문화재연구소에서 전체 유적 중 약 200여평의 발굴조사를 한 결과 5개의 유물 포함층과 3개의 신석기시대 문화층이 퇴적되어 있음을 확인하였고, 3기의 주거지와 야외 노지 등 다양한 유구가 발견되었다. 또한 제3차 조사에서는 신석기 시대 주거지 5기, 야외노지 13기 등의 유구와 함께 경작유구인 '밭'이 확인되었으며, 밭과 함께 경작과 관련된 유물도 다량 출토되었다. 발굴유구와 출토유물로 볼 때 국내 최고의 신석기유적으로 알려져 있는 양양 오산리 유적(B.C.6000∼3000)과 연대가 비슷하고 최하층에서 발견된 유구는 더 오래된 것으로 추정하고 있으며, 한반도 동북지방과 중국의 동북 3성 지방, 러시아 아무르강 연안을 포함하는 동북아시아의 신석기 문화와 한반도 선사인의 원류 및 이동경로, 당시의 문화계통과 전파정도 등을 밝히는데 있어 매우 중요한 유적이다. 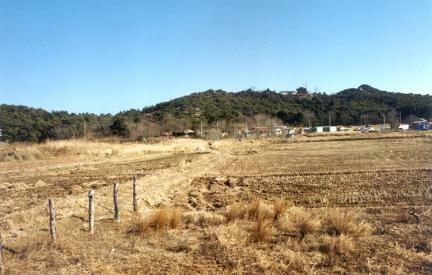 The archaeological site in Munam-ri, Goseong-gun is located at 1 Munamjin-ri, Jugwang-myeon, Goseong-gun, Gangwon-do. 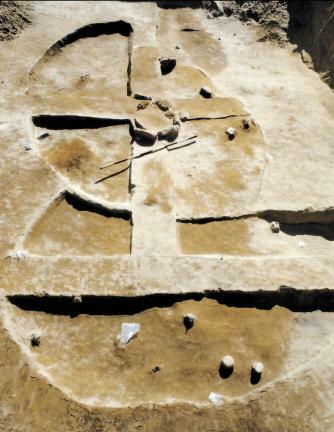 It is on a sandbank on the southern side of a hilly country some 400m inland from the East Coast and is the southernmost archaeological site discovered so far. Nearby are the scattered remains of the early Iron Age; thus, the remains in the area span several periods. 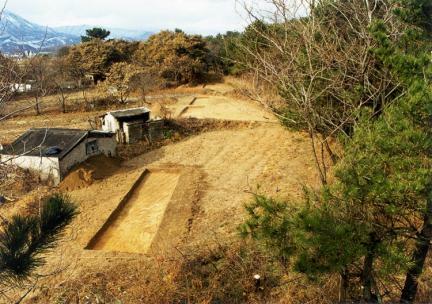 Some 200 pyeong (660 square meters) of the site was excavated from December 1998 to March 1999 by the National Research Institute of Cultural Heritage, leading to the discovery of five layers containing relics and three cultural layers. 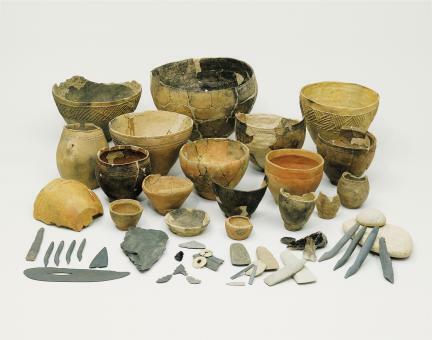 In addition, diverse archaeological features were found including three dwelling sites and an outdoor hearth. 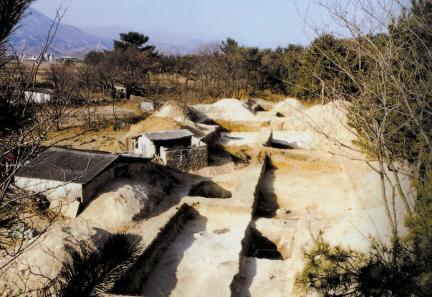 Judging from the remains found, this site dates back to around the same time as the Archaeological Site in Osan-ri, Yangyang (6000-3000 BC), the oldest prehistoric site in Korea. The archaeological features found in the lowest layer are estimated to date back even further. 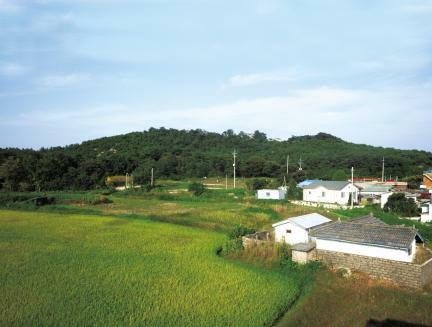 As a very important site, it sheds light on the Neolithic culture of Northeast Asia including the northeastern part of the Korean peninsula, three northeastern provinces of China, and Amur River shore in Russia, origins of the prehistoric people and their migration route, and type and distribution of culture at the time.